A new study says pink noise may be the key to separating out natural climate variability from climate change that is influenced by human activity. Not familiar with pink noise? It's a random noise in which every octave contains the same amount of energy. Pink noise is found in systems ranging from earthquakes and electronics to biology and stellar luminosity. Compared to the more familiar white noise, pink noise has more low-frequency components. 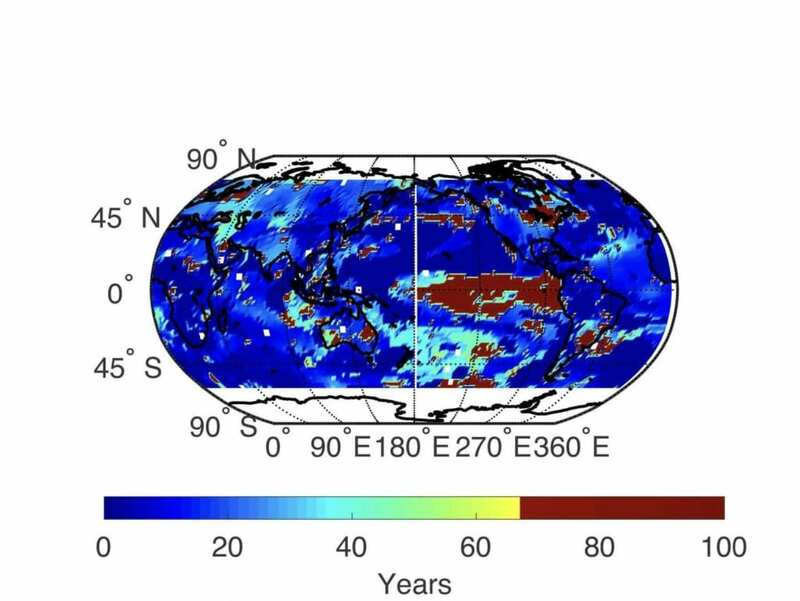 Writing in the journal Physical Review Letters, Yale researcher John Wettlaufer, graduate student Sahil Agarwal, and first author and Yale graduate Woosok Moon of Stockholm University found that pink noise energy signatures on decadal time scales appear in historical climate proxy data both before and after the Industrial Revolution. "A central question in contemporary climate science concerns the relative roles of natural climate variability and anthropogenic forcing — climate change related to human involvement — which interact in a highly nonlinear manner on multiple timescales, many of which transcend a typical human lifetime," said Wettlaufer, the A.M. Bateman Professor of Geophysics, Mathematics and Physics at Yale. "We find that the observed pink noise behavior is intrinsic to Earth's climate dynamics, which suggests a range of possible implications, perhaps the most important of which are 'resonances' in which processes couple and amplify warming," Wettlaufer said.